SUCCESS! Holy Sh— Um— Wow! BEST WEEK EVER! Okay, I admit, I am a Twitter stalker. Some people make it easy. They use Twitter as a method to voice what they are feeling about everything from the weather to really important stuff… like editors reading submissions. I tensed. My sub is a YA Sci Fi. And I submitted in March. I’d be lying if I did not admit my head went ka-blooey! A few hours later an email popped up from the same editor. Nothing definite, just a note to say she was reading AND ENJOYING my manuscript. Okay, deep breath. That’s good. Really good. Fingernails are now officially non-existent. Let’s hope she doesn’t have an explosion phobia! Now, I’m really glad I was fast asleep at one o’clock in the morning, because there would have been no sleeping that night for me if I had read this when she tweeted it. The next morning I woke to an email sent just after that Tweet. She’d stayed up late reading because she couldn’t put it down. Now let me tell you. Spam filters can be evil. E.V.I.L. because after almost a whole day, thank goodness, she poked me to make sure I got the contract offer. Resend is a wonderful thing. I spent the next half hour reading and re-reading everything she had to say about my book. I mean, you have dreams about people going on and on about how great your work is, but you never really expect it to happen. Especially from an editor with such a great reputation in the business. I was numb. Completely numb. An editor at my target publisher loves my story just as much as I do. She loves my quirky voice, and the themes blew her away. (Literally, in some cases). Now on to the nitty gritty. I hope I will have exciting news to share with everyone really soon. 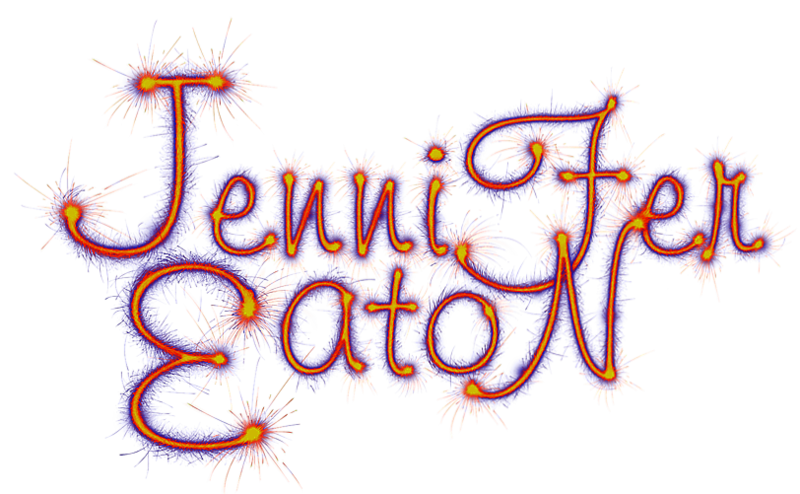 This entry was posted in Author Advice and tagged author, editing, getting published, jennifer eaton, jennifer M. Eaton, Manuscript, novel, publish, Publishing, United States, Writers Resources, writing, Writing and Editing. Bookmark the permalink. That’s outstanding! I’m so excited for you. Good job with those fingernails! Woo Hoo, that is absolutely wonderful news, Ms. Eaton! I think you deserve some extra celebratory explosions on Friday night! 😀 Happy dance for you! That is great. So difficult to get any traction. Very awesome for you. I’m glad your waiting paid off and look forward to seeing the book in print (so I can read it, of course). Congratulations!!! What fantastic news. Can’t wait to read your book. That’s fantastic! So happy for you! That is really awesome 🙂 I’ll admit being mentioned on Twitter is pretty cool. Fantastic! Congratulations, especially after all the emotional ups and downs you’ve endured lately. Fantastic! Congratulations (So far!) Yoda, get back in yor box! Wow. I MEAN really WOW! 😀 Outstanding. Congrats. Awesome. That is so unbelievably fantastic! After all that nail-biting waiting – well done!!! Best news evah! ONly one thing would make it the bestest!